New item in original packaging. 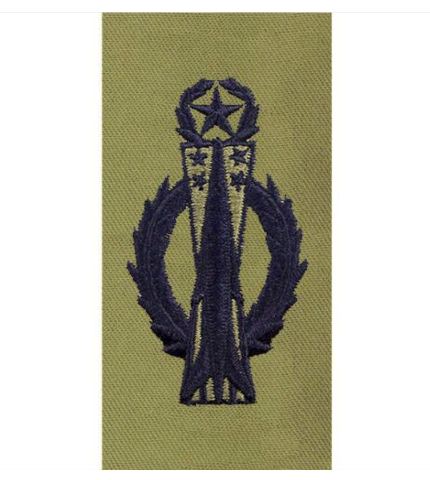 Air Force air battle uniform (ABU) Master missile operations badge embroidered. 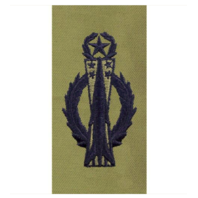 The Master Missile Operator Badge is awarded after 10 years of operational time as a missile operator. Price per pair.